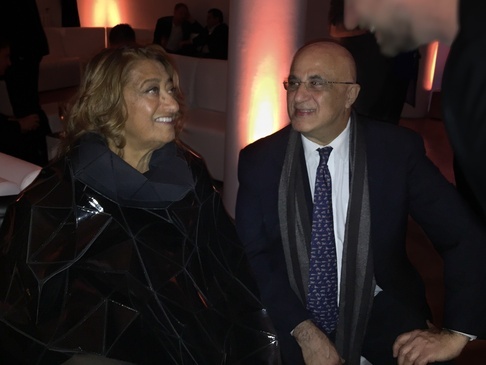 Ted Jacob attended the celebrations after Dame Zaha Hadid was awarded the 2016 Royal Gold Medal Award. She is the first woman to win the prestigious decoration on her own accord. Zaha and Ted, both of Iraqi origin, had the opportunity to share their ideas on projects and the future of construction in the Middle East.